Full Metal Panic! Wallpaper: You can do it! Minitokyo »	Full Metal Panic! Wallpapers » Full Metal Panic! Wallpaper: You can do it! Really nice bg! it's a cheerful one XD really loved your wall!!!!!!!! 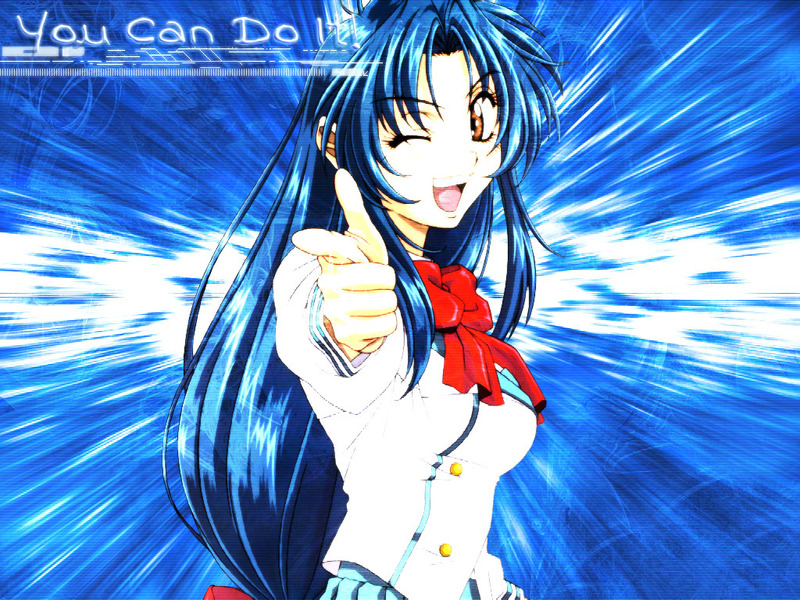 XD I'm not a fan of Full Metal Panic but this is a nice scan :) A Fav for sure ;) ! The title sounds me like a Nike commercial, J/K ......Its a gret work...Keep it up!!! i agree with first post...RPGManiac... scan is a bit bright, but its lovely! and the wallie is great ;) thanx for ur hard work!